A PC Emulator for the Amiga 500 which plugs into the trapdoor slot. 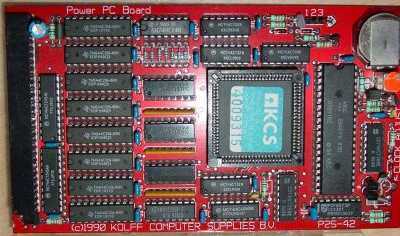 In addition to the 1MB of memory installed the card, PC programs can also make use of any additional memory assigned to it from the Amiga's own memory. When the emulated PC is not in use, the on board 1MB of RAM can be assigned for use by the Amiga. 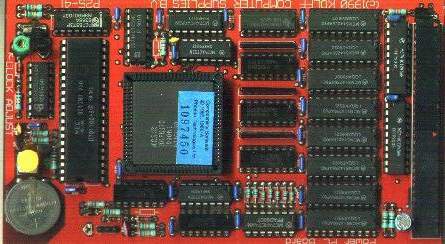 The card also has support for using hard disks, floppy drives, the serial port and joystick/mouse ports in PC mode. The card also includes a real time clock.